Performing with fellow Canadians Pete Otis, Harpin' Norm Lucien, and Glen Hornblast in this most prestigious Richard's Cafe just outside of Nashville. Come out and enjoy the great talent, terrific food - you'll have lots of fun - guaranteed. All the fun at 8:00 but come early for dinner and for best seating. 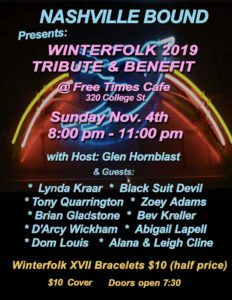 WINTERFOLK VII wristbands will be sold for 1/2 price advance price to $10.00 Lynda Kraar, Tony Quarrington, Glen Hornblast, D'Arcy Wickham, Bonnie Gladstone, Alana Cline, and more! Hope to see you there. 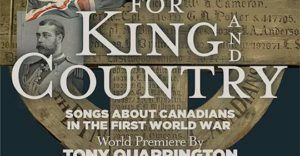 On Nov 11 Remembrance Day 2019, please join me and lots of other wonderful artists as we present Tony Quarrington's production of 'For King and Country'. Its at Hugh's Room Live. The songs were written by Quarrington as well as the other artists. I co wrote my tune 'Prairie Boy With Wings' with Tony, telling the story of Canadian World War I flying Ace 'Alan McLeod'. 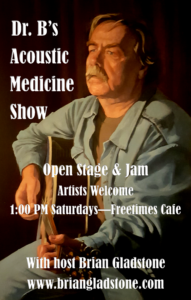 Participating artists include Mary Lou Fallis, Alex Sinclair, Arthur Renwick, Zoey Adams, Roger Clown, Zoey Adams, Stuart Laughton, Brian Gladstone, Noah Zacharin, Tony Quarrington, and more!